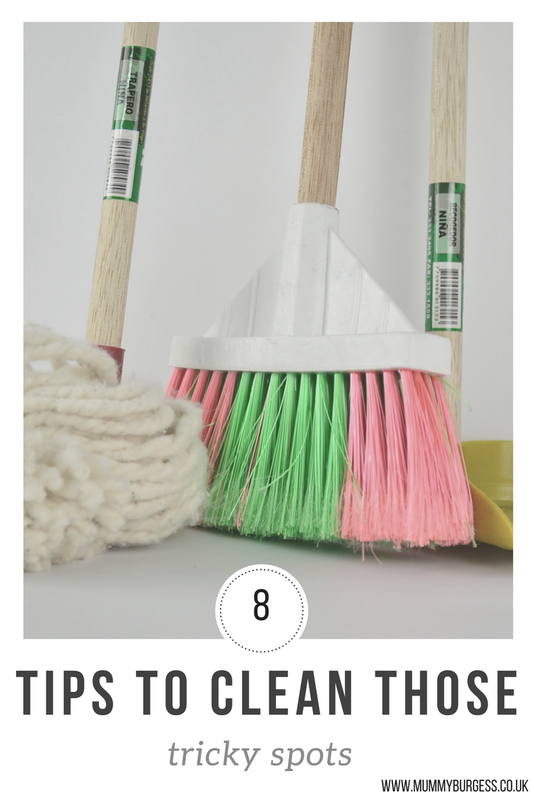 Cleaning is not an easy task by any means; in fact, many people will tell you that they dread any cleaning task and try to avoid and skip it at any given opportunity. Even when you do gather enough courage to start cleaning, there are some nook and corners of your house, which is incredibly tough to clean. There are many things in your house which are very hard to clean. And those things and places are the focus of this article. So, doesn’t matter if you are a cleanliness freak, or say “no thanks” to cleaning, these are 8 tips which will prove to be incredibly helpful when you face hurdles in the cleaning process. Window tracks: A window cleaning squeegee is definitely very helpful while cleaning windows, but they cannot reach every place, right? The window tracks are one of the most tricky things to clean as it houses a lot of dirt and debris. Clean it with some baking soda, vinegar, dish soap and some elbow grease and see the magic. Bathroom tiles: Who doesn’t love to shower in a clean bathroom, but the bathroom tiles are very difficult to clean. The worst thing is that once you clean them, they get dirty really fast. You can actually safeguard your hard work by rubbing a candle on them as candle wax will prevent them from getting dirty. Refrigerator coils: Refrigerator is one of the most useful kitchen appliances and it is very important that it keeps working properly. While cleaning the refrigerator, we often overlook the coil. Make sure that you vacuum the coil as it takes the dirt off, and makes its efficient. Blinds: Blinds are rather complicated to clean, but did you know that you can clean them with kitchen tongs and scrub? It serves the purpose pretty well, all you have to do is, attach scrub at both the ends of the tongs and voila your cleaning device is ready. Faucet Crevices: Cleaning Faucet Crevices is actually a laborious task. An old toothbrush comes in very handy while cleaning them, as they get every nook and corner. So, just use some soap and an old toothbrush for shiny Faucet Crevices. Mattresses: Imagine how soundly you will sleep when you know that the mattress is clean. Cleaning a mattress is tough but the task becomes very easy if your vacuum cleaner has special upholstery attachment. All you need to do is, vacuum clean the mattress while paying special attention to the folds and creases. Air vents: Air vents accumulate a lot of dust because of the tiny gaps, and that makes cleaning them a strenuous task. To clean them, start by vacuuming them. And now, take a butter knife, wrap a microfibre cloth around it and wipe the dirt away. Showerhead: You can spend hours cleaning the showerhead and you will not receive the desired results even after working super hard for that; but don’t worry, we have a trick. Make a solution by mixing ⅓ cup of baking soda and 1 cup of vinegar. Now pour it in a plastic bag, place it around the neck of the showerhead and seal it by tying it with a string. Finally, keep it for 2 to 3 hours and see the magic. Were these tips not helpful? Now go, try these fantastic tips, and see the magic for yourself. 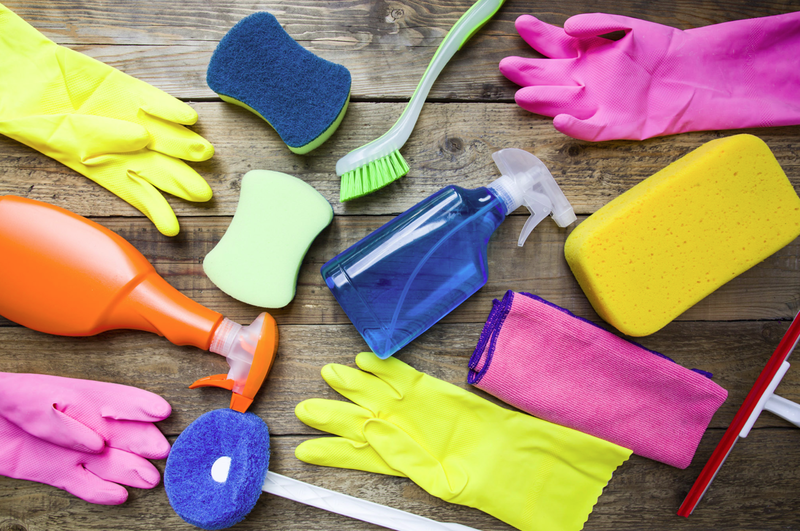 Believe us, you will feel very proud of yourself after cleaning these tough spots. And, keep that house glistening clean.